The 25 entry list contains errors that can lead to security holes or vulnerable areas that can be targeted by cyber criminals. Experts say many of these errors are not well understood by programmers. According to the SANS Institute in Maryland, just two of the errors led to more than 1.5m web site security breaches during 2008. It is thought that this is the first time the industry has reached agreement on the worst things that can creep into software as it is being written. More than 30 organisations, including the US National Security Agency, the Department of Homeland Security, Microsoft, and Symantec published the document. "The top 25 list gives developers a minimum set of coding errors that must be eradicated before software is used by customers," said Chris Wysopal, chief technology officer with Veracode. "There appears to be broad agreement on the programming errors," says SANS director, Mason Brown, "Now it is time to fix them." "We need to make sure every programmer knows how to write code that is free of the top 25 errors." "Then we need to make sure every programming team has processes in place to find and fix these problems [in existing code] and has the tools needed to verify their code is as free of these errors," he said. 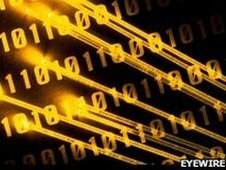 Patrick Lincoln, director of the Computer Science Laboratory at SRI International, told the BBC that if programmers prevented these errors appearing in their code, it would deter the majority of hackers. "This list is primarily for people who have first responsibility for designing a system. Veteran programmers have probably learnt the hard way whereas a brand new programmer will be making more basic errors." "The real dedicated serial attacker will probably find a way in even if all these errors were removed. But a high school hacker with malicious intent - ankle-biters if you will - would be deterred from breaking in." Previously, most advice has focused on vulnerabilities that can result from programming errors. The top 25 list examines the actual programming errors themselves. The US Office of the Director of National Intelligence, the principal adviser to the President, the National Security Council and the Homeland Security Council also lent their support to the list. In a statement, they said: "We believe that integrity of hardware and software products is a critical for cyber security. " "Creating more secure software is a fundamental aspect of system and network security, given that the federal government and the nation's critical infrastructure depend on commercial products for business operations." "The top 25 is an important component of an overall security initiative for our country. We applaud this effort and encourage the utility of this tool through other venues such as cyber education."